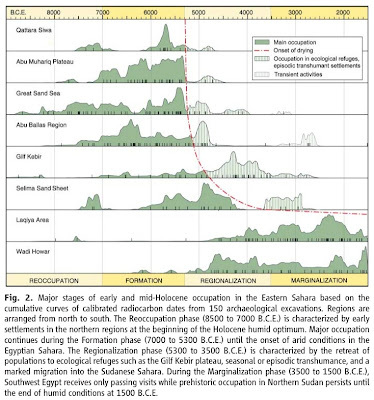 Abstract: Radiocarbon data from 150 archaeological excavations in the now hyper-arid Eastern Sahara of Egypt, Sudan, Libya, and Chad reveal close links between climatic variations and prehistoric occupation during the past 12,000 years. Synoptic multiple-indicator views for major time slices demonstrate the transition from initial settlement after the sudden onset of humid conditions at 8500 B.C.E. to the exodus resulting from gradual desiccation since 5300 B.C.E. 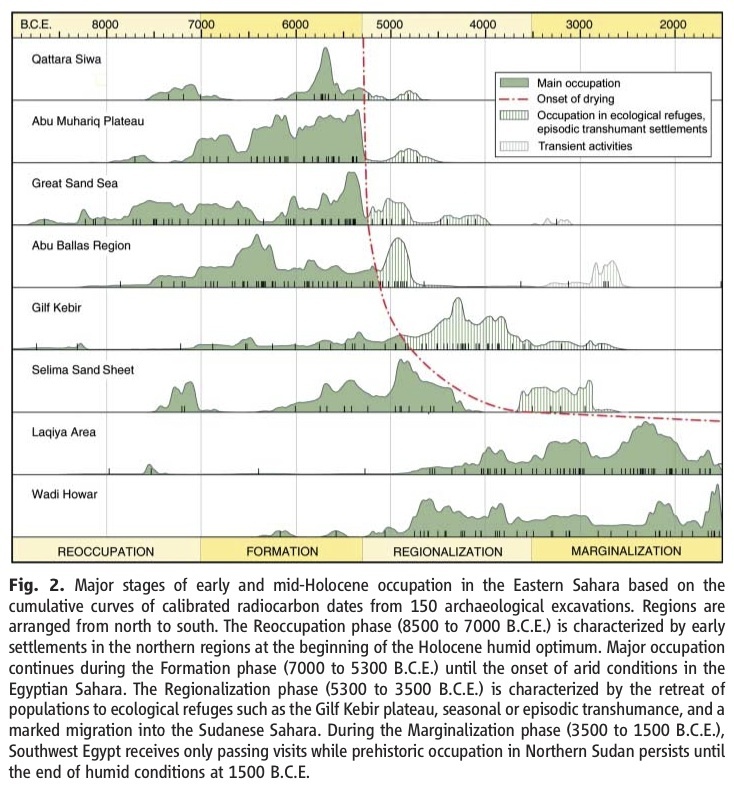 Southward shifting of the desert margin helped trigger the emergence of pharaonic civilization along the Nile, influenced the spread of pastoralism throughout the continent, and affects sub-Saharan Africa to the present day.